If you are contemplating to launch an agency, it’s quite important that you build a professional website for your company. Although there are still a majority of people who think of hiring freelancers or giving this project to an agency, developing a WordPress website isn’t a tough task anymore. In a way, WordPress has made procuring a website easier for everyone these days. On top of that, even if you have the least knowledge about this domain, you can still come up with a professional and elegant looking website, thanks to an abundance of WordPress themes available out there. However, as said, since these themes are in abundance, choosing the best ones isn’t going to be anywhere less than tougher, especially if you are new to this world. 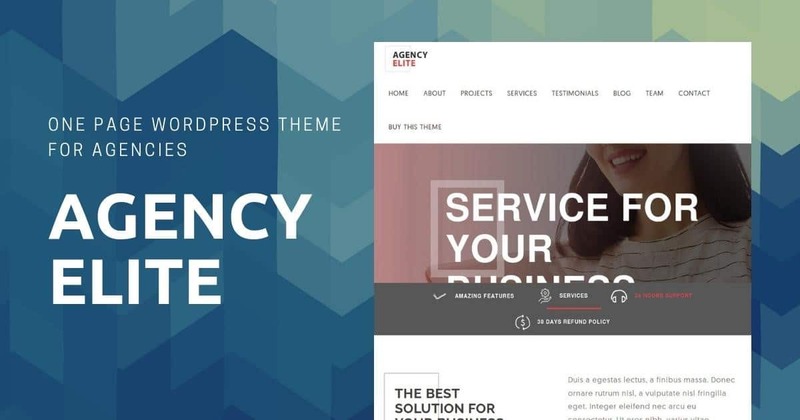 Hence, taking away your hassles of navigating, finding, and choosing, here are top 9 best agency WordPress themes that you should be considering for your website. If you don’t want to take up the hassle of developing and presenting a multi-page website, then this is the theme that would fit all your requirements. Agency Elite is a smooth, user-friendly WordPress theme that is perfect for one-page websites. If you want to put an amalgamation of classy and modern looks into your website, this theme can help you out with the same. Appropriate for agency websites, this theme lets you develop a power-packed and completely functional website. Neither you would have to know coding, nor you would be required to seek help from a professional, with a bit of customization and simple edits, Agency Elite can surely provide you the website of your dreams. 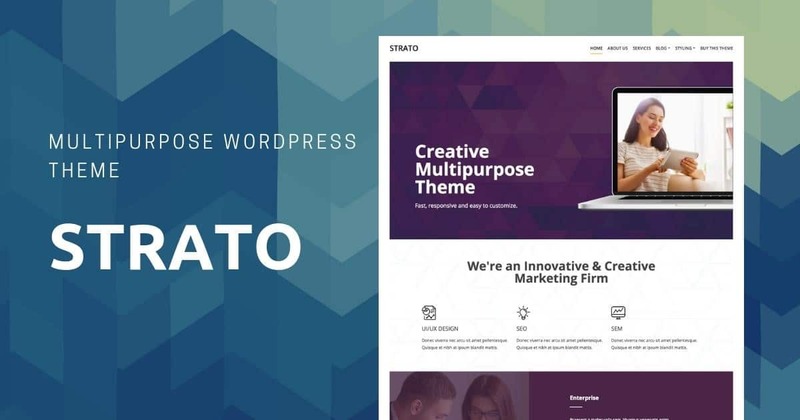 Contrary to the above option, Strato theme is meant for those who want to build a multipurpose and a multipage website. With modern designs, this theme will surely complement the premise of your website. Having a responsive design, this theme can efficiently work on every sort of device. Strato comes with alluring typography and also provides you an option to customize fonts, colors, and the logo on the website. Furthermore, this theme comes with pre-built about page, services page, and homepage. Despite that, you get every bit of freedom to edit the pages and make them appropriate as per your website requirements. If you are looking for a light but elegant theme, then this one can be your best bet. 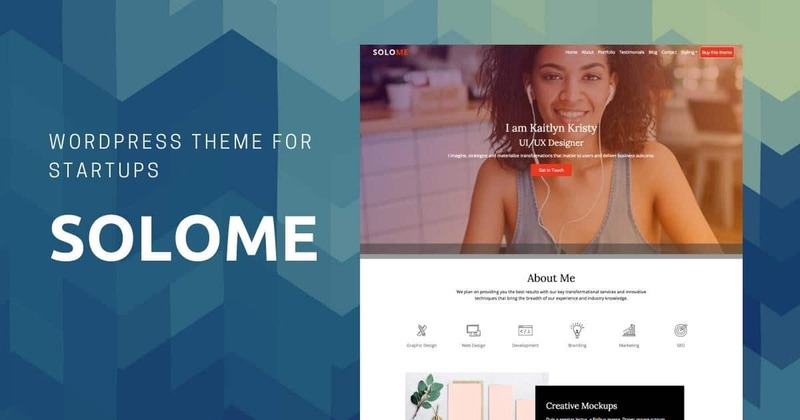 Solome is a WordPress theme that is designed with an intention to help professionals create a worthwhile online presence. 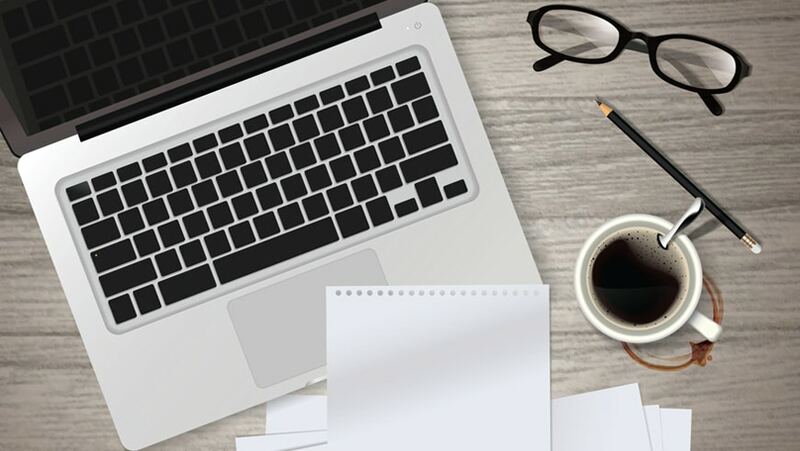 Since it’s a one-page template theme, you can provide important information to your target audience without compelling them to navigate through a myriad of pages just to understand what exactly your brand does. Moreover, Solome provides a compact design, which can be quite helpful when it comes to developing trendy websites. This theme even supports several sections, including slider hero area, contact info section, about section, recent posts, portfolio section, and testimonial section. Moving forward, another best agency WordPress theme is Rivet. Being a single page theme, this one is meant to enhance the appearance of your website to a great extent. It comes with a responsive design and several useful customization options. Although Rivet is a pre-designed template, however, tweaking it as per your requirements wouldn’t be tough for you. There are several elements that it supports, including an animated counter section, services section, and much more. 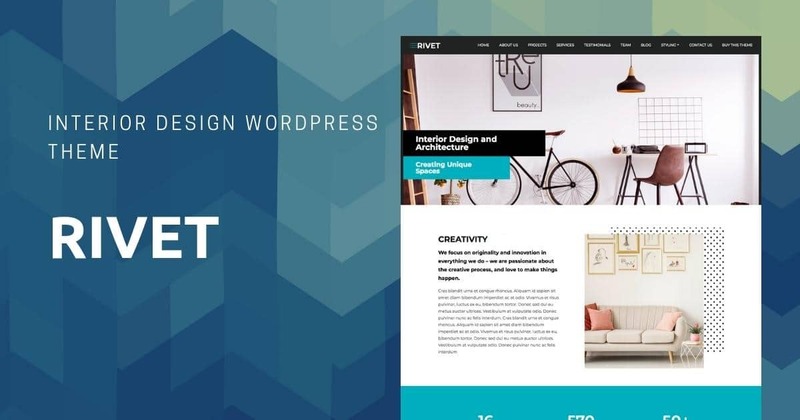 Furthermore, this theme even comes with alluring typography; hence, a website designed with Rivet will be nothing less than an eye-catching destination for online customers. 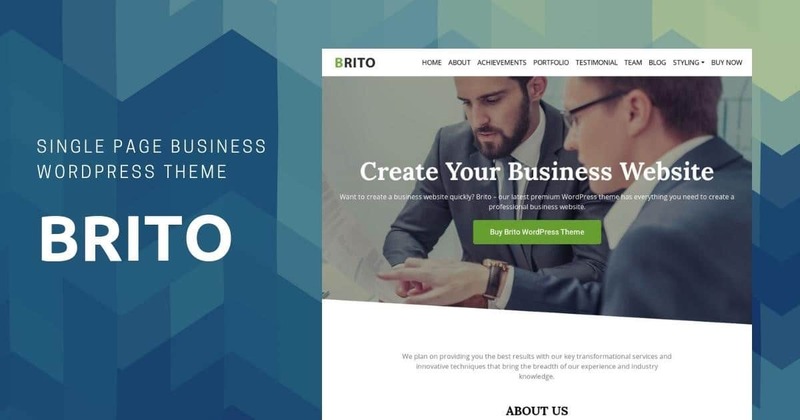 Brito is another considerable WordPress theme that lets you present valuable information in an alluring and easy manner. It’s a single page website template; hence, you wouldn’t have to put a lot of efforts in designing a website. And then, this theme supports everything you would expect in a professional website. Right from a slider hero area to contact info section, about section, recent posts section, achievement section, team section, CTA section, and testimonial section, there is a lot that Brito offers. Again, this responsive WordPress theme comes with a pre-design homepage using Elementor. Thus, you can customize it accordingly. On top of that, this theme even supports several plugins, making your work even easier, right? 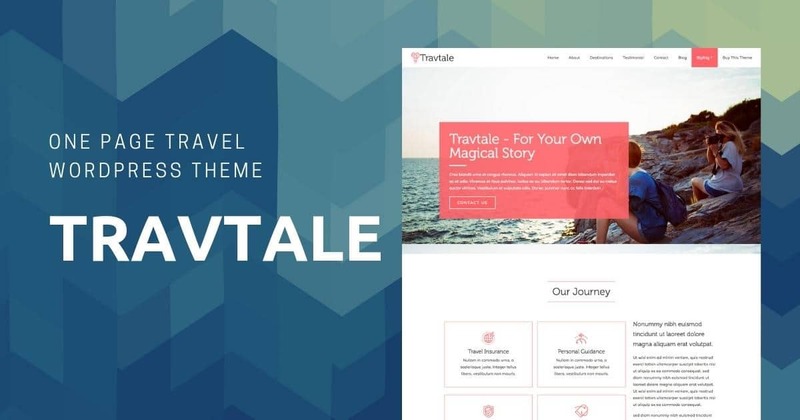 Another amazing theme is Travtale. Although it may sound perfect for travel-based websites, however, it can even design an agency WordPress website equally beautiful. This theme has got the modern design and vibrant colors to take your business to new heights altogether. Along with a gamut of custom options, Travtale even offers a responsive design. Its pre-designed page is meant to supports elements like CTA section, testimonial slider section, portfolio section, about section, and much more. Not just that, but this theme even supports a newsletter sign-up section; hence, you can always keep your audience updated with whatever latest is happening on your website. With Travtale, building a magical website is surely going to be easier for you. Considering how one-page websites are becoming a trend these days, marketers aren’t leaving any stone unturned in applying this vogue to their websites as well. Thus, if you also want to walk in the same footsteps, you can consider this theme. 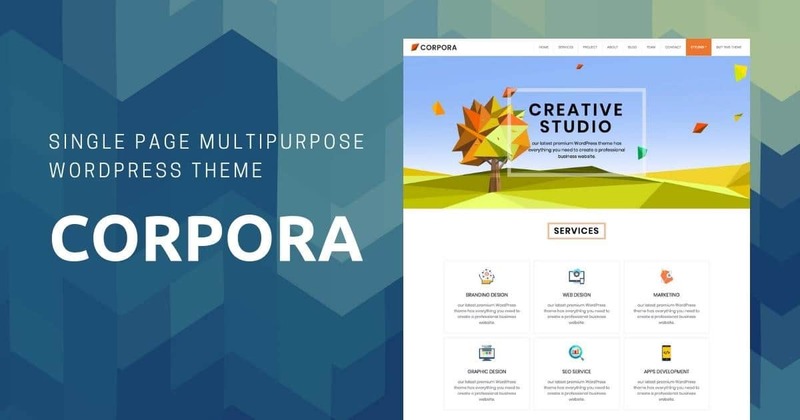 With Corpora, you can build such a website that provides precise, on-point, and succinct information to the visitors regarding your brand. Hence, in this way, you would be able to highlight the USPs of your brand very easily. Furthermore, this theme even supports about section, slider hero area, projects section, services section, features section, team section, contact info section, and recent posts section. Hence, you can experiment the way you want with the website. Here is another single-page website theme that comes with vivid colors and modern design. 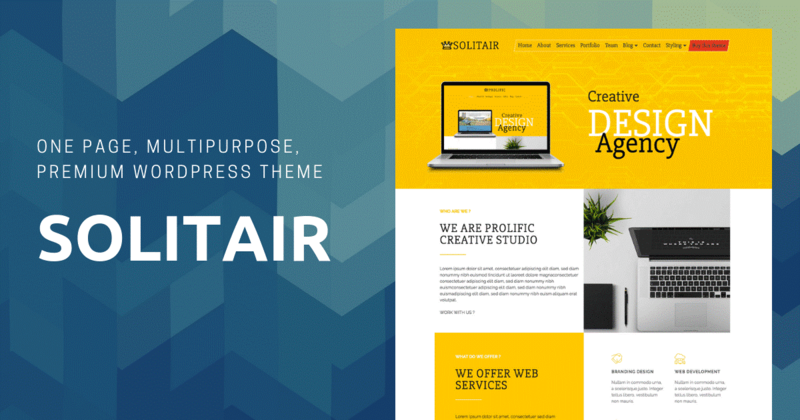 Solitair is a theme that will help you develop an intriguing and an eye-catching website, which in turn will up your game among your competitors. It has got a responsive design and considerable custom features. Right from a hero slider to testimonials section, image portfolio, features, recent posts, there is a lot more that Solitair can support on your website. Not just you can customize the homepage with ease but can even experiment with other features without facing any hurdles as well. Thus, even if you are a novice when it comes to website developments, this theme will make it a plain-sailing. 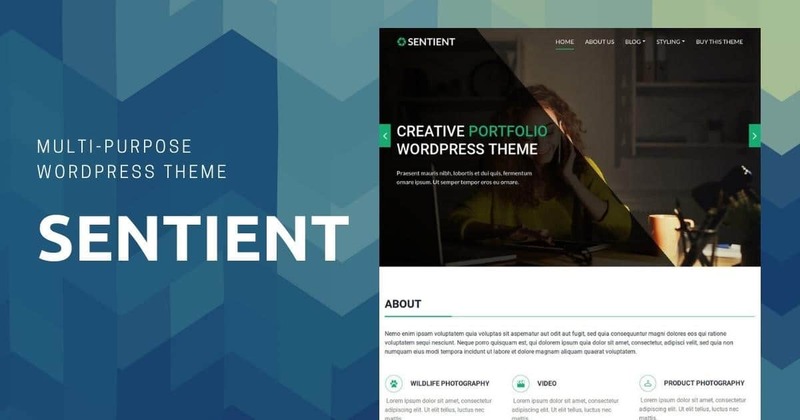 Last but not the least, Sentient is such a WordPress theme that comes with professional layouts to help you design a marvellous website. Along with responsive design, this theme even provides a clean interface, custom options, and amazing typography. With this theme in hand, you can enhance and highlight different areas, such as footer area, hero banner area with a slider, team section, about us section, count-up section, image portfolio section, and recent posts section. Not just that, but its pre-designed About us page even supports testimonial section, description, and features section. As much as you may consider it a dreadful task, building a website is indeed an exciting journey. More so, if you have a perfect theme in hand, the road will become even enthralling for you. So, consider these options listed-above, choose the best agency WordPress theme possible, and build an amazing website.